Имате въпрос към WH Hostel? Разположен на централно място в Сукхумвит, WH Hostel е идеално начало за Вашaта екскурзия из Банкок. Хотелът се намира на 4.5 km от центъра на града и осигурява достъп до важните места на града. С удобното си местоположение хотелът предлага лесен достъп до всички градски забележителности, които задължително трябва да се видят. WH Hostel също така предлага много съоръжения за обогатяване на Вашия престой в Банкок. Хотелът предлага достъп до широк спектър от услуги като безплатен WiFi достъп във всички стаи, 24-часова охрана, ежедневно почистване, съхраняване на багаж, Wi-Fi връзка в общите части. Атмосферата на WH Hostel се усеща във всяка стая. Удобства като стойка за дрехи, безплатно разтворимо кафе, шкафче с ключ, пантофи, хавлии са само някои от даденостите на обекта. Хотелът предоставя най-добрите съоръжения включващи градина, които ще Ви помогнат да отпочинете след активен ден прекаран в града. Каквито и да са поводите за Вашето пътуване,WH Hostel е най-доброто място за престой, което можете да изберете в Банкок. Отседнахме 20 вечер/и в октомври 2017 г. Due to delay in the immigration office, we checked in in late hours, yet the host still waiting for us to come. The host helped us to take back the phone we left in the taxi and also helped us to communicate with the drivers. There are mosquitoes around the area but the host took effort to get rid the mosquitoes. Simple breakfast was served daily. My 2nd stay here, first being in 2015. Everything went well. The staff is extremely helpful. The whole place is a piece of art. Though the room is a littl small but for that price its worth it. Nice to stay here, towels were replaced everyday though we didn't request so. I like the breakfast, simple but nice. Rooms are all garden-view and clean. Mosquitoes only in kitchen area. A little bit difficult to find WH Hostel; our taxi driver had to go around Sukhumvit 4 twice before finally getting there. The place is close to a lot of bars and clubs.. The room was very new clean and cozy.. The staff were so kind and helpful.. We'll definitely coming back in the future.. It's amazing to find a hostel in the middle of Bangkok, near Sukhumvit no less, with large green gardens. From the start, nothing is average about this hostel. 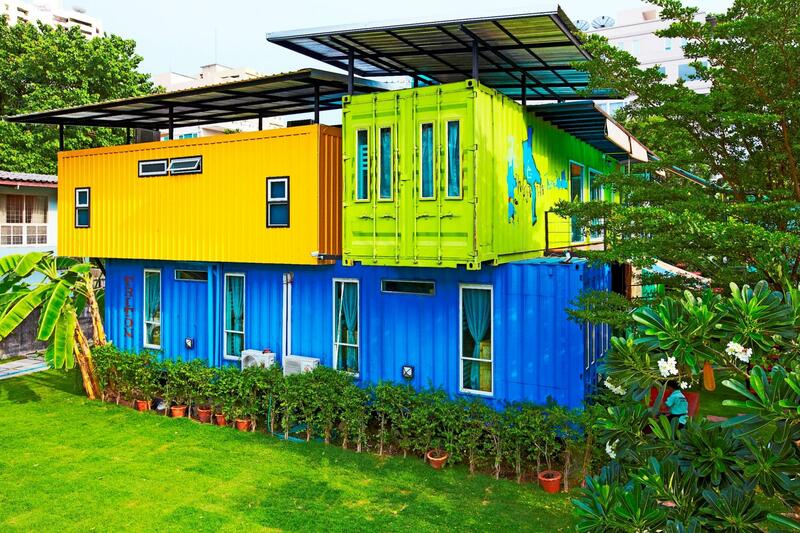 From the creative shipping container design to the gardens to the room layouts. We were concerned that a 7m2 room would be too small but it was really quite roomy. The owners were the best and we loved the vibe. My only complaint was that the mattresses weren't very comfortable and that wifi could barely penetrate the steel shipping containers into the room. The facility is fine, clean and simple. Good that there is a separate entrance near Ploen Chit Centre so that travelers can avoid sad Soi 4. It's a bit far from Khao San Road (hub of backpackers) but it's a perfect place for traveller who need some peace of mind and feels like home after long day. Located in Nana however advisable to stop at Phloen Chit station for shorter distance to the hostel. Staffs are very helpful and always there when we needed them. Above all, highly recommend! I stayed here for two night, and I really enjoyed my stay. 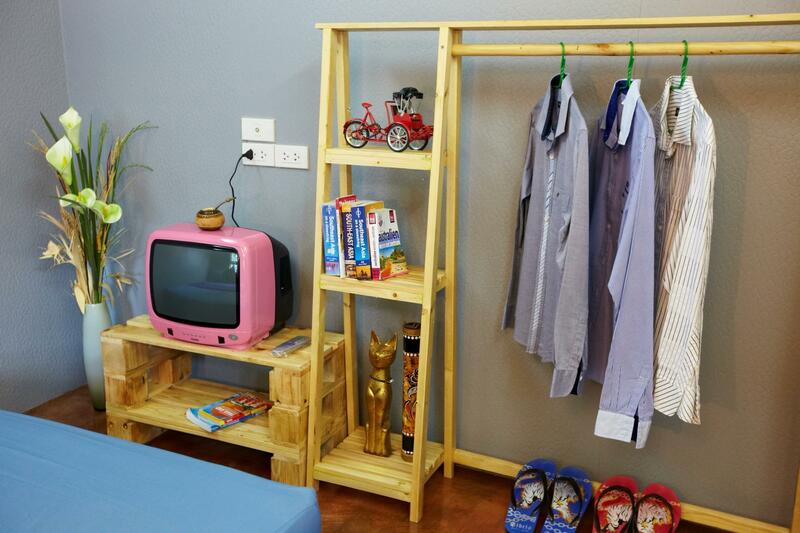 The hostel look great, has a nice vibe, is very clean and has everything you need. The staff is very friendly and speaks good english. They will help you with everything you need or want to know. The hostel is located a little bit out of the 'ladyboy' area which I liked. You can reach the BTS-line within 10 minutes walking, which should not withhold you from booking this hostel. The staff is really kind. We loved so much to stay at the WH Hostel!